Today was a day I had been looking forward to since I first conceived the idea of travelling to Singapore. Today was Singapore Zoo Day! After tucking into my last hotel breakfast, I checked out, abandoned my luggage for the day, and headed to the zoo. The zoo itself is set amongst a rainforest environment, so a lot of the animals are able to roam free. Orangutans swing above your head. Megabats fly right past your face. It was like Chester Zoo on crack, in the best way possible. The White Tiger was a personal favourite of mine. At the zoos back home, tigers and the like are usually asleep, snoring behind a tree. Here I was about 20 feet away from one of the most beautiful creatures on earth. It even roared. Ok I wet my pants. So what?! A white tiger roared at me! After a long, sweaty but enjoyable day at the zoo, it was time to head back, get my bag from the hotel, and check into the hostel that will be my home until Monday night. The hostel is @The Little Red Dot on Lavender Street. It's my first time ever staying in one. It's nice. There's free WIFI, a common room area with computers, comfy chairs & a tv with loads of DVDs to choose from. The beds are cool too. They're Japanese style capsules, so you get a bit of privacy away from all the snoring, slobbering faces. In some ways I would prefer the bunk bed set up, as it's a tad more sociable. Not sure if I'll be saying this in 5 months time though. Last night was also the first time I felt homesick. Properly homesick. I lay in my capsule (sounds cool that! ), and just felt a bit overwhelmed with it all. Overwhelmed at the distance ahead of me until I was able to be around the people I've left behind. Overwhelmed at the idea of being constantly on the move. It all just got to me. So I got on the phone and spoke with Dad, who reassured me that it's natural to feel this way. I was a lot better after that. Since then I've spoken to quite a few people. A guy called Ernest from the Phillipines was particularly cool. We both couldn't sleep, so he came with me at 4am to get some early morning grub, where he taught me how to use chop sticks. It's moments like these that you only get when travelling and opening yourself up to the world, and I look forward to many more to come. Mark Hi mate, love the blog it's great! 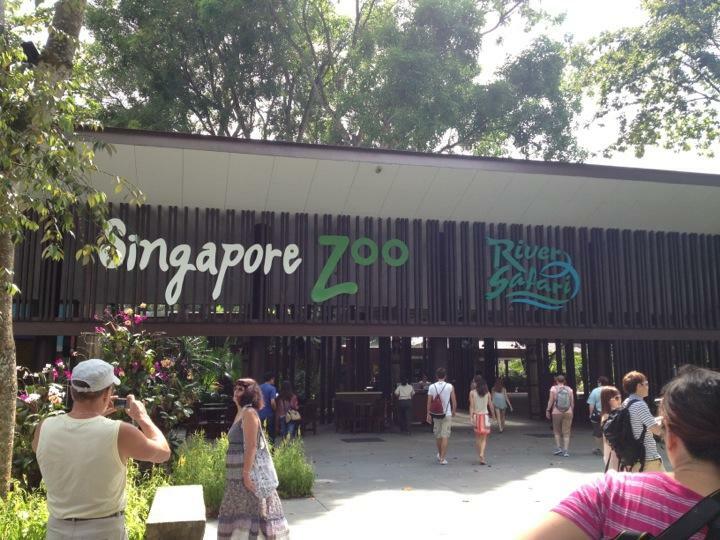 It's good that you have seen Singapore and it's best feature - the zoo. You will absolutely love Australia. Get a few drinks down you in the base hostel bar and then head out to some of the bars in st kilda or to federation square in the city. I'm sure you will meet some great mates in Melbourne and then probably keep meeting loads of the same people as you go up the coast. I'm looking forward to hearing about some of the places I also visited.